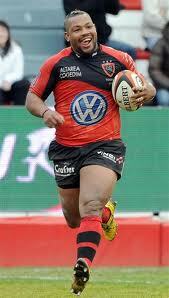 The clamour for Stuart Lancaster to select Toulon’s Steffon Armitage for his England squad grows ever louder. Even the normally sensible Will Greenwood appears to agree. The RFU’s established policy is not to select players who play their domestic rugby overseas except in “exceptional circumstances.” Such circumstances, so the current argument goes, might include the fact that Armitage has been playing rather well for his club. The fact that Armitage has had a superb few seasons in the south of France and that his qualities would be of benefit to England is not in doubt, but this rather misses the point. If selected by England for the New Zealand tour this summer, Armitage will arrive late, assuming Toulon reach the Top 14 final, which will mean precious few opportunities to make an impact on the tour. Furthermore, for the November internationals Armitage would have to join up with the squad a week later than everyone else and probably miss the final game of the autumn series against Australia, which falls outside the international window. England would also have reduced access to his services during next year’s Six Nations. If Armitage was already an established and experienced international then this might not be an insurmountable issue. For a relative international rookie, however, it creates an unnecessary headache for Stuart Lancaster and potentially damages the close-knit unity of the England squad that he has built so carefully. And the fact remains that Armitage knew the ramifications when he recently extended his Toulon contract for a further three years. If he was truly dedicated to the England cause he could and should have negotiated a deal with a Premiership club, or insisted on the requisite release clauses in his Toulon contract. He did neither. While I can’t blame him for wanting to earn shedloads of cash in the French sunshine, allowing him to have his cake and eat it is more likely to create an unwelcome distraction that I suspect Stuart Lancaster could do without.